Did you know one can fly fish at TFI’s Bailey Pond? People in the know celebrate Michigan City’s Trail Creek as a regional destination for salmonid fishing but it’s probably not the best place for a beginner to learn the joys of fly fishing. You may not catch a steelhead in Bailey Pond but you can certainly practice technique and maybe even catch a few fish. In October (2015) a couple of seasoned fly fisherman used Tryon Farm’s Bailey Pond as a venue for my first casting instruction. I eagerly received a short lesson from fishermen Michael Stout and former TFI intern, Billy Stratton. After orienting ourselves at the new Memorial Bosque at the south edge of the pond we went over the equipment and used the open grass land to get the feel of casting a fly rod. Then we moved to the water. 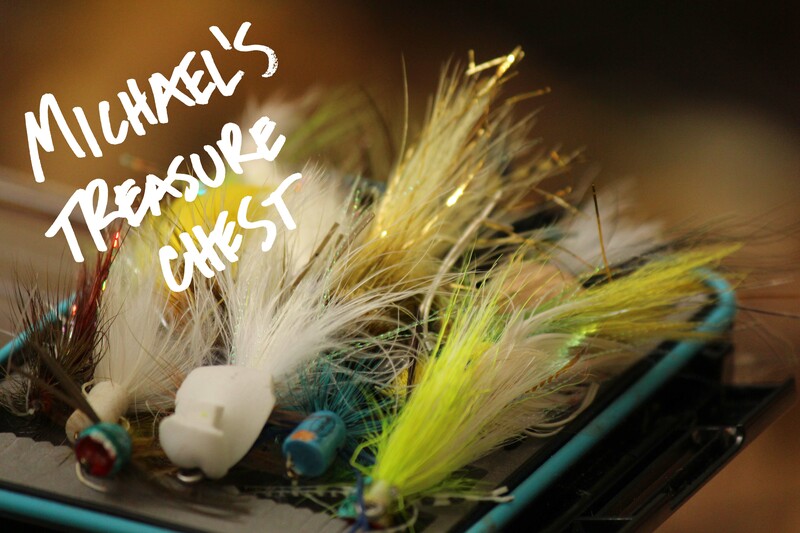 Looking over the fluffy colorful flies from Michael’s treasure chest of a fly box, he selected a small popper, named for the sound they make when pulled across the water. After tying it on we casted it out over Bailey Pond to see if there was an audience. To our delight, the bass responded. After only a few casts and a couple of attractive pops, Michael hooked the first bass of the day and released it back to the pond. Observing this success, I couldn’t wait to try for myself. Whip, cast, pop. Whip, cast, pop. Whip, cast, pop, FISH! I caught and released my first bass during my first fly fishing lesson at Bailey Pond! 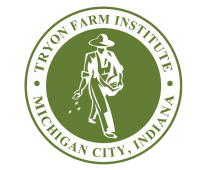 Fly fishing engenders a respect and appreciation for the natural environment and what better place to experience that than the beautiful landscape of Tryon Farm. The smallmouth and largemouth bass may not be trophy fish, but they offer a great context for appreciating all that Tryon offers.